When configuring VSAN the amount of initial setup time is highly dependent on the type of disk controller you're using. Some controllers support pass-through mode and will not need the additional configuration described in this posting. 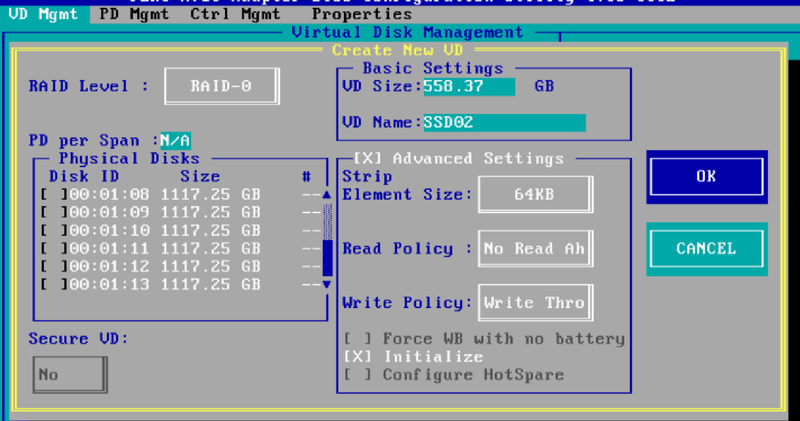 If you however are using a controller such as the Dell PERC H710, you will first need to setup each disk in the RAID controller's BIOS; with every disk in it's own disk group where you enable write through, disable read ahead and select initialize. After doing this you will see the individual disks within VMware vCenter under the esx host / manage / storage / storage controller / devices. 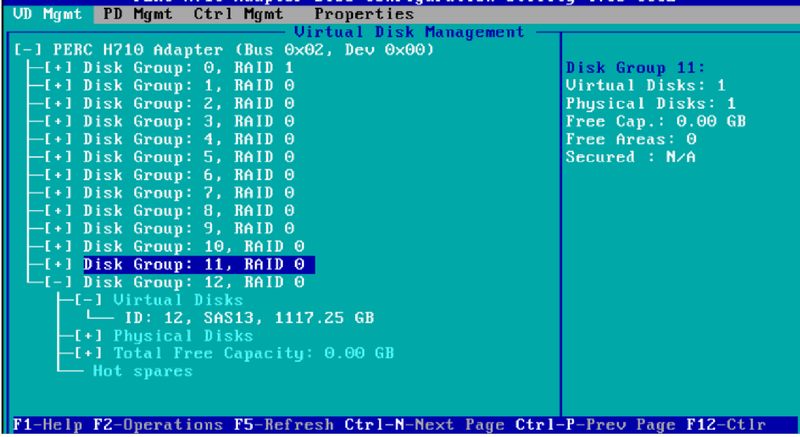 The disks are however not detected correctly as the controller gives no information about the type of disks shared in these RAID 0s. In order for vSAN to make sense of these disks you will need to create rules that specify what type of disks that are being used. esxcli storage nmp satp rule add --satp=VMW_SATP_LOCAL --device <device id> --option "enable_local"
esxcli storage nmp satp rule add --satp=VMW_SATP_LOCAL --device <device id> --option "enable_local enable_ssd"
The device id in question here is the naa lun id. Some suggest that you use the command esxcli storage core device list, but in a system with many disks I've found it easier to filter out the needed info by using the command fdisk -l by identifying the disk types by looking at the disk sizes. esxcli storage nmp satp rule add --satp=VMW_SATP_LOCAL --device $i --option "enable_local"
esxcli storage nmp satp rule add --satp=VMW_SATP_LOCAL --device $i --option "enable_local enable_ssd"
You will now need to reboot the host for the new config to become active. Repeat these steps for all of your vSAN hosts and you'll soon be able to start configuring vSAN.